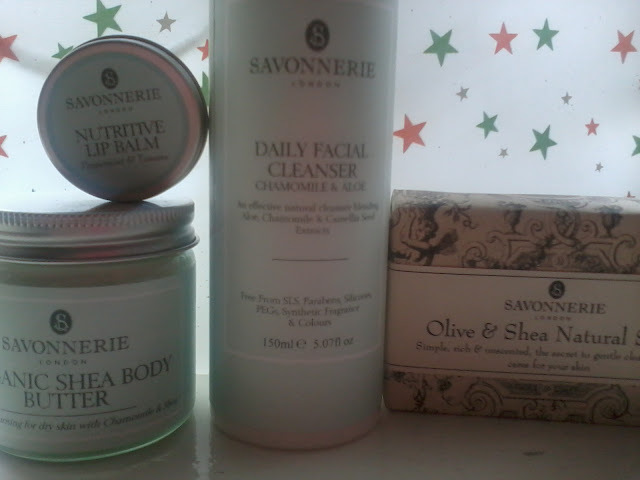 I featured Savonnerie London in my Mother’s Day post and they generously sent four products to review. Savonnerie’s range is handmade in the UK and free from sulphates, parabens, artificial colours & fragrances, petrochemicals and no animal ingredients. All products are vegetarian but a small number contain milk, honey or beeswax. I am going to give each product a mini review but I can tell you straight off I honestly like them all. I cannot fault the products. They perform to expectations and are good value for money. Savonnerie has a sophisticated image which is reflected in the packaging and website. I started using this cleanser when I was on holiday. It was perfect to use after a day sunbathing because the gentle ingredients of aloe, chamomile and camellia seed extract make it ideal for sensitive skin. I have not experienced any irritation or breakout whilst using this cleanser. The consistency is similar to a light cream and the fragrance is gentle, a hint of chamomile and aloe. I massage this into dry skin and remove with a damp muslin cloth. After cleansing, my skin never feels dry or tight instead it is soft and clean. I only wear foundation and concealer but it removes this with ease. I have very little trace of foundation on my cotton pad when I follow with toner. Prior to switching to this cleanser I was using Pai and I have to say they are very similar to one another. You know me I am addicted to shea butter and I have reviewed many on my blog. No two are ever the same but the overall benefits to the skin are always equal between brands. This one has been blended with Chamomile and Evening Primrose. In comparison to my other shea butters this is not solid instead this is whipped and soft, a real pleasure to apply to the skin. The fragrance is light so will not conflict with other scents you may wear. Savonnerie also offer a Rose & Shea Body Butter and if you are not a fan of heavy moisturisers you could choose one of their body lotions (French Lavender, Rose de Mai or Sicilian Orange Blossom). I love this lip balm. It contains Tamanu oil, peppermint, camellia and rosehip. It is a solid balm that melts on contact with warm skin. Perfect for those who do not like a sticky, heavy balm. The peppermint is the strongest when it comes to taste and reminds me of a delicate peppermint chocolate (but that could be my taste buds). Lips are left soft and smooth, obviously you can re-apply as much as you desire but I find it is not necessary, the effects last. This bar of soap is simple and unfragranced. I have had this in my bathroom and have been using it for washing my hands. It is rich and produces a creamy lather. The gentle ingredients of Olive and Shea are moisturising and ideal for me as I suffer from very dry hands. My Boyfriend has mentioned that he enjoys using this soap. If you prefer fragrances there are another six soaps to choose from - Cedar, Flower Garden, French Lavender, Honeycake, Marmalade and Menthe. All these products get a thumbs up from me and I would happily recommend them to you. Other products available on the website are Body Wash, Haircare, Bath Treatments, Foot Cream & Scrub and Gift Sets. Has anyone else tried Savonnerie? What would you recommend trying?